Who doesn’t love wine and wine countries! Living in the Sacramento area, the famous Napa Valley is quick ~1.5 hour drive for us, making it the perfect destination for a fun day/weekend trip (I know, I’d be jealous of me too ;)). We’ve visited Napa and Sonoma county numerous times, with various people for various reasons – the wine-loving fam / ex-roomie’s bachelorette / day out for an 8 month old :S / Saturday, among others. I’m going to try and fit in all of my best experiences in this post, I hope you can pick activities that interest you to tailor your perfect day/weekend. We usually start at about 8 in the morning and grab breakfast at one of our favorite local breakfast joints (We started the bachelorette with an early morning champagne toast, of course 🙂 ). It’s about 9 by the time we hit the road, and roll into Napa at about 10.30. This works pretty well as most wineries open at 10 A.M.
On our most recent trip (December, when my darling sis visited), our first stop was the Peju winery. It’s not as commercial as some of the bigger establishments, but I got some rave reviews from friends and decided to give it a shot, and I couldn’t be happier with my experience. It’s a lovely, quiet and calm setting, and the lack of too much hustle and bustle ensured full attention of our wine host. We chatted about our wine preferences as we sipped, with my friend’s 8 month old not too happy about not getting a sip ;). We were served from an excellent collection, our host adjusting to our tastes, and soon brought out a blend which we absolutely loved, and of course we had to buy the bottle :). We then headed to V. Sattui for our next tasting and lunch. This is another place I am fond of, though it is a bit on the commercial side. We sometimes skip the tasting, depending on how how crowded it is. They have a good deli with hot and cold sandwiches, salads, wines and cheeses (they have a great collection of cheeses and knowledgeable help to pick out what you’d like), picnic supplies and a nice picnic area to go along with it. We sometimes bring our own food but supplement it with wine and cheese and some snacks from the deli since we use their premises, but I guess you’re not required to. They also have a good outdoor bbq in the summers, though it is not exactly vegetarian friendly. We brought some picnic blankets/beach towels to have something to sit on if the benches are full, and it served us well 🙂 The kid had a great time crawling around and waving to other kids, and we enjoyed a lovely sunny December afternoon lazing away! I can rarely ever enjoy more than two tastings (if you do, Robert Mondavi might be a good next stop. 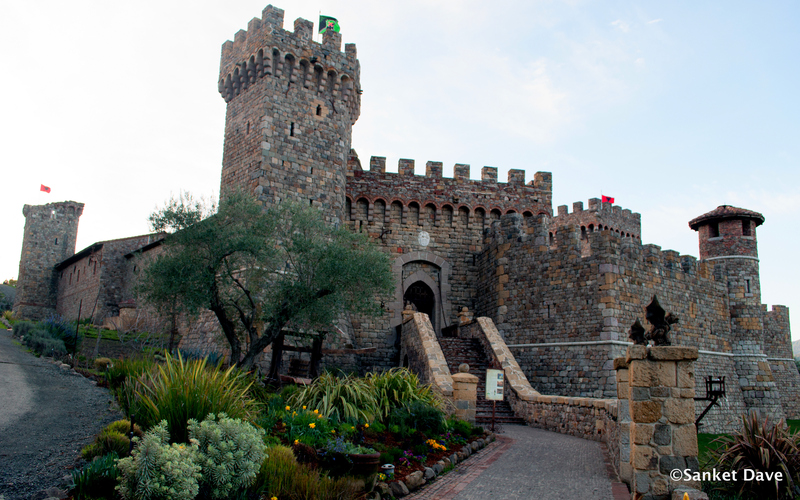 They have a pretty covered patio overlooking the gardens and you can take your glasses out), so after this point, if we have first timers with us, we usually head over to Castello di Amorosa. It is built to resemble a Tuscan castle, and is a gorgeous place to take pictures! I have bought some good dessert wines from here(La Fantasia is one of my personal favorites), however I have never been blown away by the tasting experience, probably because it’s always been too crowded and the wine hosts seem overworked. They do have various tasting rooms so it might be better it one of the more exclusive rooms, but I usually just get the stuff I already know I like and head out to admire my surroundings. This is a wonderful setting, definitely worth a visit while you’re here :). The grape juice here is pretty great, and is a superb option for non-alcoholics feeling left out ;). A and M had joined us here for a post wedding celebration, and they found that the Muscat Grape juice was really flavorful and pleasantly aromatic. (My grape juice bottle is still unopened, of course :P). It’s also one of the bigger stores I have seen, so a great place to pick up souvenirs. An alternate afternoon activity (we did this for the bachelorette) is visiting one of the many spas in Napa. There’s a ton of options, you will definitely find something that suits your pocket and needs. We went to St. Pierre’s Massage and Spa since they were able to accommodate all ten of us, we had a fabulous time getting pampered and catching up with old friends! The place was nice and cozy and my back neck and shoulder massage was exceptional :). We like to round up the evening with a nice dinner at one of the many accredited Napa restaurants. Oenotri and Ristorante Allegria are two that I tried recently, and liked them both. I have heard great things about Bistro Don Giovanni but have yet to try it, it’s at the top my list. There is, of course, The French Laundry, but S and I have saved it for an occasion worth the $$$ ;). We often start heading back home after a long lazy dinner, but plenty of people like to optimize their weekend by staying overnight. Activities above can be easily spread over two days, with an addition of some of the things I have yet to try, like the Wine Train, bike tour (I am not completely clear on how the whole tasting and biking right after thing works, but I’ve seen a lot of people doing this), hot air balloon ride(you’ve to be up at the crack of dawn for this, but I’ve been told it’s worth it) and hiking. S and I love to hike, but when in Napa, it has not been on the top of my priority list ;). If you’re interested in the wine making process, most wineries will give you a tour of their vineyard if you reserve a tour in advance. Sterling Vineyards offers an aerial tram/Gondola to get up to the winery , where you are treated with breathtaking views. You can see panoramic views of rolling plains of grape plantations as far as you can see. 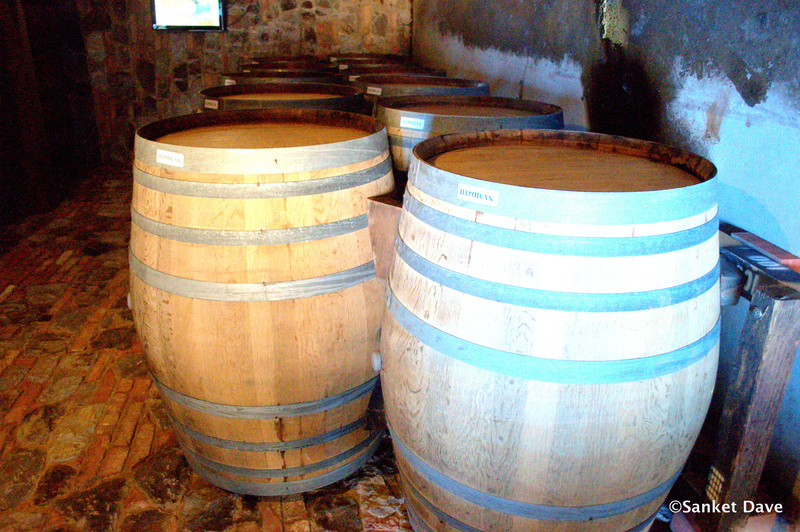 You can stroll around the art galleries and take a self guided tour of the winery and taste their current selections. ​Overall it is a very relaxing experience. They also have a grape stomping experience that she has on the top of her Napa to-do list. I’d love to hear your take on various wineries in the Napa/Sonoma region, please feel free to post your comments!